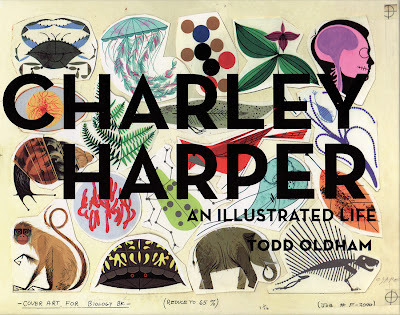 Charley Harper was a man who filled his life from end to end, sometimes such incredible artists should be allocated even more time on this planet so they can fulfill more than one life time of beauty. Swan and I spent our bedtime reading last night paging through half of this wonderful book. I can't explain how much I admire this man's work, his lyrical simple lines, textures, stylisation and perfect of perfectness colour palettes. Mr Harper you are so THE MAN!